Frames Direct provide premium eyewear for men, women, and kids. Established in 1996, they claim to be a pioneer as the first ever website to offer prescription eyeglasses online. The founding optometrists, Cooper and Hodgson, were passionate about setting the highest standard in their niche and that’s exactly how Frames Direct was born over two decades ago. Fast forward to the present day, Frames Direct have headquarters in Austin, TX and continue to grow with well over one million happy customers. Owned by Essilor, the world’s largest lens company, Frames Direct offer contact lenses as well as specs. When it comes to eyeglasses, you’re certainly not going to struggle for choice with Frames Direct. 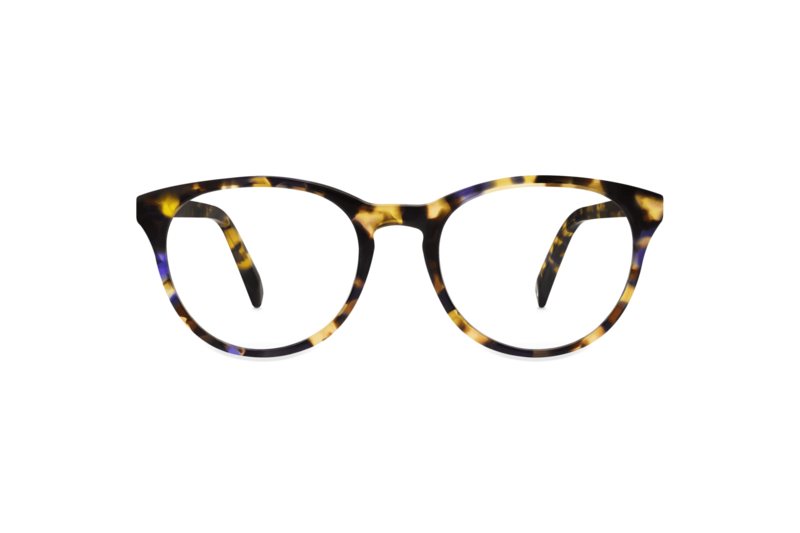 They currently have one of the largest selections of authentic designer eyewear anywhere with over 250 brands in their portfolio, which equates to over 100,000 styles. Some of their bestselling brands include Ray-Ban, Oakley, Prada, Gucci, and Burberry, to name a few. But that’s not all. Every time you make a purchase with Frames Direct, a pair of glasses will be donated on your behalf to someone who needs help improving their sight. If that doesn’t make you feel good, then we don’t know what will. Looking for a variety of styles to choose from? No problem. Frames Direct carry all the sizes and colors available in a particular style offered by the brand. You can shop for them by gender, style, frame material, shape, color, price, size, or type. 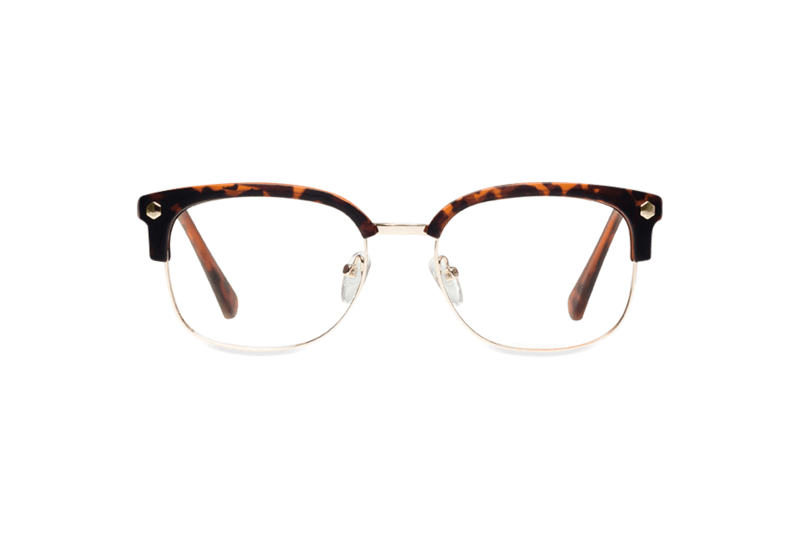 The most popular two styles of eyeglasses currently on the website are both unisex. The first is the classic Clubmasters by Ray-Ban. Inspired by 1950’s browline rockabilly style, they have been worn for generations and continue to be a roaring success amongst both men and women. Their square frames suit almost any face shape, but look particularly good with oval or heart-shaped faces. 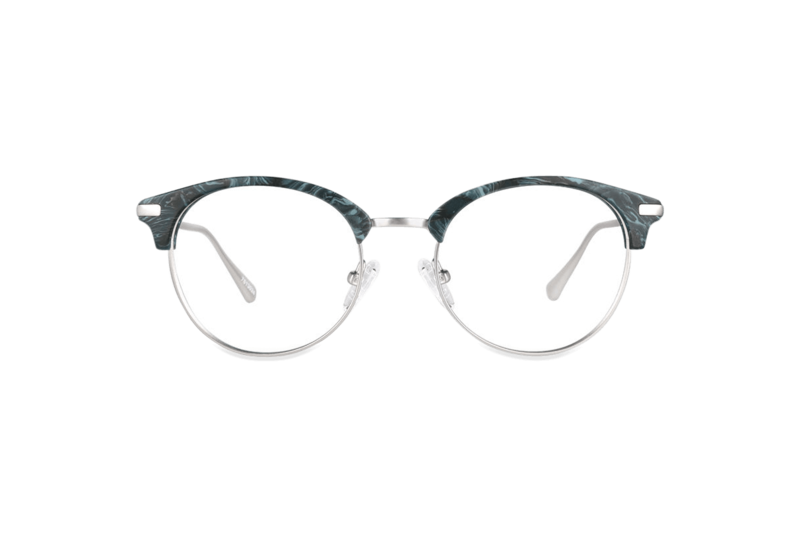 With a full metal rim featuring lightweight acetate across the top of the frame front, they’re available in different colors, and make a serious style statement. The second most popular pair of eyeglasses at Frames Direct is Art-Bilt by Art Craft. With deep fashion roots, their sophisticated retro-style frames appeal to both men and women. Their round full rims feature an all-metal construction for enhanced durability and shape retention. Classic gold and elegant, they’re versatile and can be dressed up or down for practically any occasion. Once you’ve picked out your frames, the tough decisions don’t end there. You also have to make sure you get the right lens or coating option for you. Single vision prescription lenses - These are used to correct nearsightedness or farsightedness, but not both. Bifocal lenses - These offer visual correction for both the nearsighted and farsighted, with the top of the lens created for distance and the bottom for close-up work. Progressive lenses - An alternative to bifocals, these provide more of a natural transition from distance to close vision, and everything in between. Trifocal lenses - These improve vision at near, far, and middle distances. They are not available on the site currently, but you can call the customer service team to order via phone. Computer lenses - These prevent and reduce the risk of eye strain from staring at a laptop or phone screen. 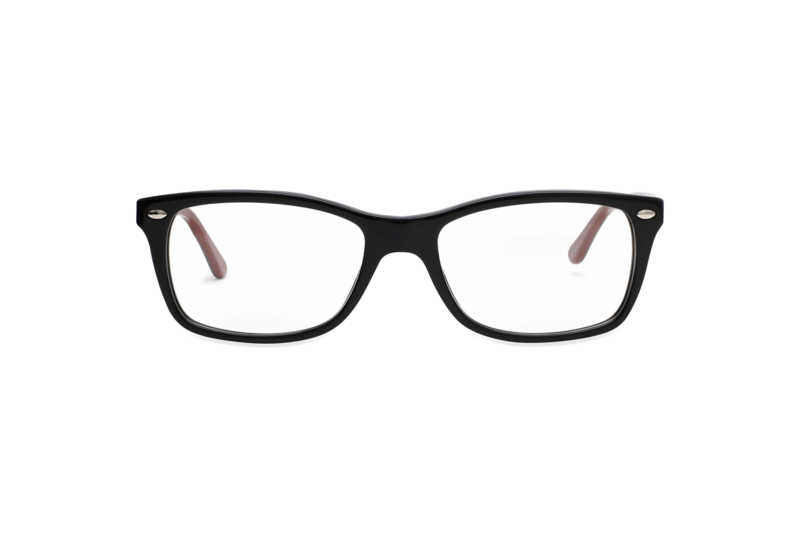 They contain a slight magnification and anti-reflective coating. Safety lenses - These are designed to protect the eyes from work and sports hazards. Reading glasses - These help aid the weakening of the eye muscles as you age. Ultraviolet protection - This coating protects you from 100% of UVA and UVB rays. Anti-reflective - This blue light protection will reduce the harmful effects of artificial light on your eyes. What about contact lenses, we hear you ask? Frames Direct feature an array of contact lens brands that you trust and deliver them to your door. These brands include: Acuvue, Biofinity, Fresh Look, Dailies, and Air Optix. The good news is that Frames Direct ship both nationally and internationally. Are you US-based? Even better! You don’t even have to pay one cent to have your specs shipped to you. However, the wait times vary depending on your location and what exactly you’ve ordered. As a rough guide, processing times range from 1-10 business days and shipping times range from 30-8 business days. If you’re based internationally, it’s likely Frames Direct will be able to ship to you (for a fee). After all, they do ship to over 140 countries. One of the best things about Frames Direct is that every single member of their customer service team is an expert optician. In fact, their staff base has over 300 years combined experience, which means that you get well looked after should you need any assistance. One of the worst things? 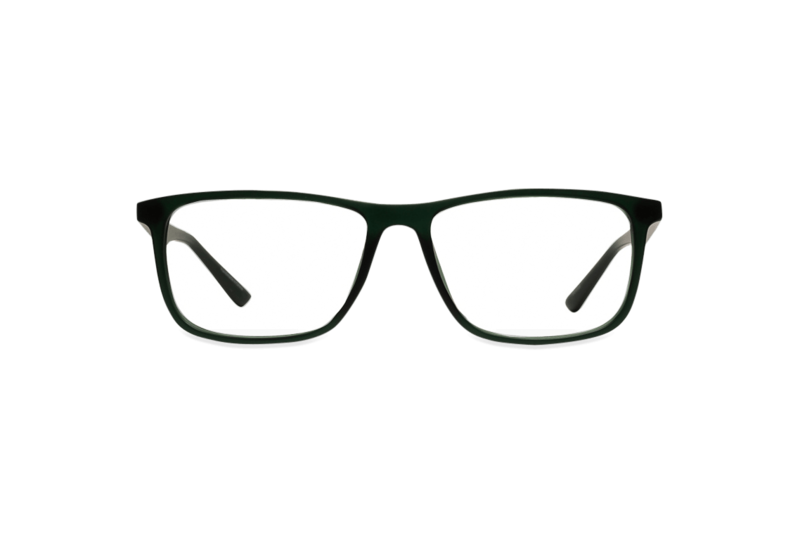 They have a really basic Face Shape Guide and Glasses Size Guide for buying eyewear. They’re supposed to help you work out which frames are going to be best for you; but they don’t, really. However, they do have a 30-day returns guarantee if you’re not 100% satisfied with your order. Prescription lenses are also covered by a 12-month manufacturer’s warranty in case of defects like peeling coatings. Damage caused by the wearer, such as rough handling or incorrect cleaning, isn’t included though. If you have a question, whether simple or complex, Frames Direct have a “Knowledge Center” with FAQs and extensive customer support. You’re also encouraged to call the team or send a message through the site via the “Contact Us” section. If every pair of frames on their site was full price, Frames Direct wouldn’t be an affordable retailer in the slightest. However, they constantly offer discounted specs and contact lenses so that you can obtain high-quality designer goods at just a fraction of the price. 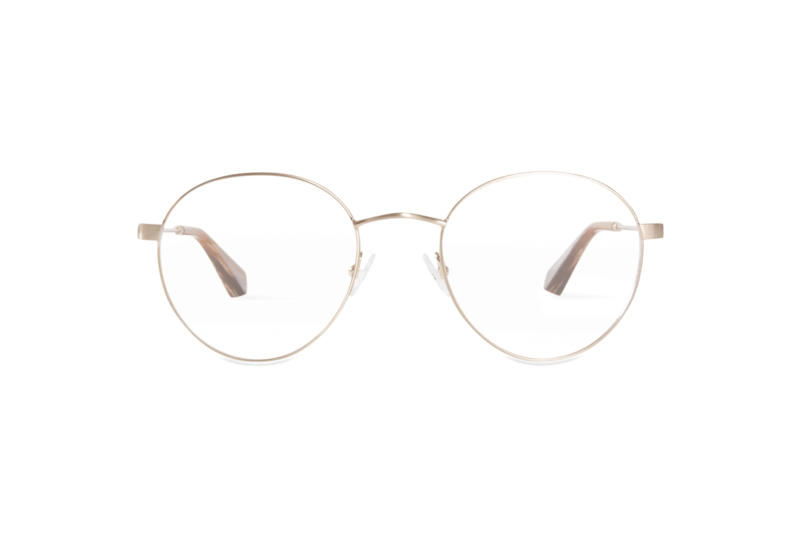 Plus, if you find a pair of sunglasses or eyeglasses in the exact same color and style for a lower price on another website, Frames Direct will match that price. At present, the most expensive eyeglasses price point is $100 for a pair by Stella McCartney Kids. The cheapest price point is only $30 for Polinelli Milano frames, which is super affordable. When it comes to sunglasses, the price difference is vast. 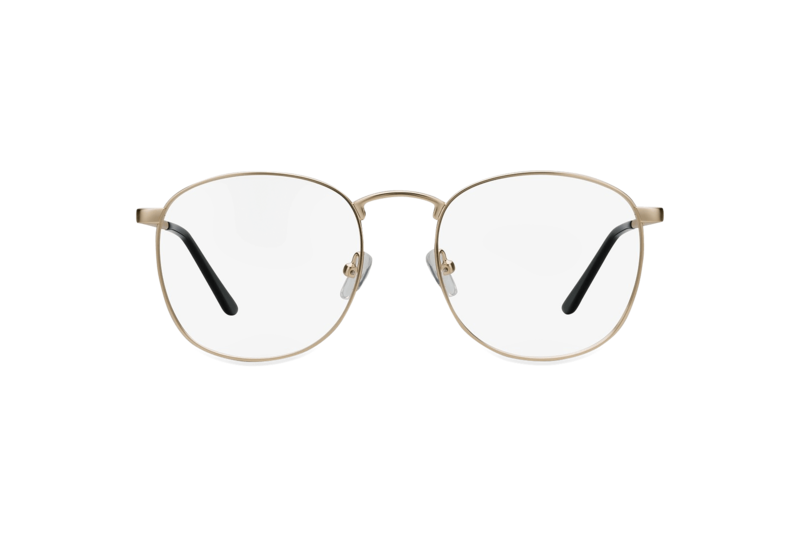 The most expensive pair is $1,240 for Gucci frames, with the cheapest price point being $37 for some Spy General gigs. This means that you’re looking at an average cost of $50-$60 for eyeglasses and $100-$200 for sunglasses. For designer brands, these price points are exceptionally reasonable. In terms of contact lenses, they vary massively in price (depending on the brand and amount in each pack) from $15 to $183. Frames Direct is a trustworthy one-stop online shop when it comes to buying fashion-forward, high-end designer eyewear at discounted prices. 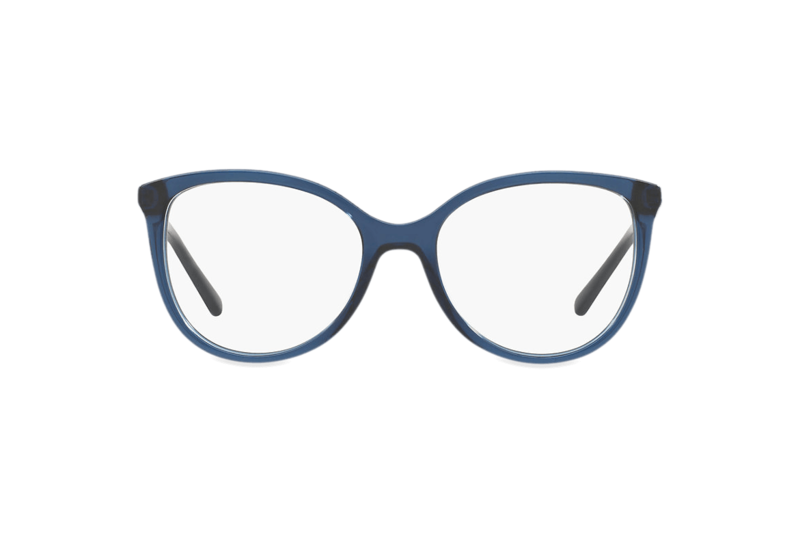 Offering an abundance of choice in terms of styles, shapes, and colors, their eyeglasses are just as stylish as they are durable. They also offer a range of well-known and loved contact lens brands. Even though Frames Direct don’t provide an effective virtual resource for trying on frames before you buy, they do provide a 30-day returns policy and an extremely helpful team of optic experts. Also, bear in mind that their shipping times can vary depending on what you’ve ordered and where you’re located. For experienced glasses and contact lens wearers who know what exactly works for them, and are looking to buy designer goods at a fraction of the price, Frames Direct comes highly recommended.